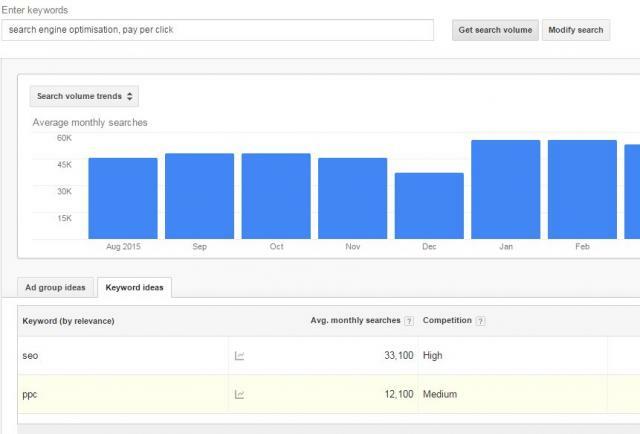 If you try the Google Keyword Planner tool today you might run into a surprise where the tool is not always showing you the data for the exact keyword phrase or word you plugged into the tool. So if you enter in [search engine optimization] Google will show you at the top the phrase [seo] instead. RankRanger posted a deep dive on this today going through this change. They said "Google's keyword research tool is now altering search queries, presenting results that don't exactly match the initial phrase. As a result, Keyword Planner is at times showing results that not only don't match the query exactly, but seriously deviate from the possible intent behind it." I recommend you check out their blog post to understand how serious this can be for some keywords. I do not see any feedback from Google on this yet but we are on the case. This has come after Google restricted access to the keyword planner tool to many and truth is, they expanded that restricted access over the past week or so. Update: This supposedly started back in July but now they are being more "transparent" about it.